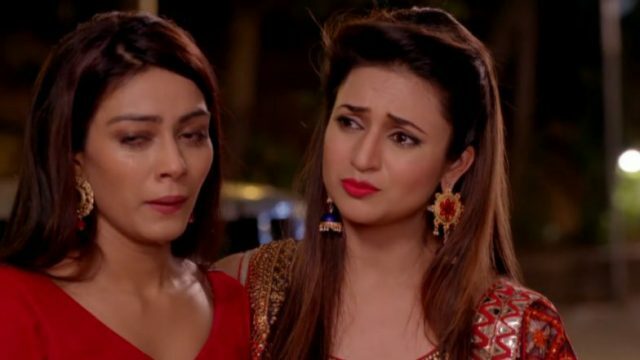 Yeh hai mohabbatein written episode of 27 july 2018: Pihu welcome Roshni and baby. The episode Yeh hai mohabbatein starts with Amma praying for Roshni. Suddenly Pihu comes and asks ” how is Roshni”. Aaliya says Pihu, Roshni is taken to the hospital. Amma says everyone is the hospital, and take care of Roshni. Amma says to Aaliya baby is excited to meet Pihu. Aaliya says yes. Pihu We have to pack everything because we need to go to the hospital any time.Mr. Bhalla says what is this? I don’t understand, because problems are very critical. Ishita says we can’t choose one, what is important, “Roshni or baby”. Mrs. Bhalla says let us save Adi’ s child. Aaliya saying is Pihu I got all things for ready go to the hospital. Pihu says stopped, plastic usage is banned. Pihu saying is Aaliya plastic waste dosen’t get recycled things. Pihu says its very harmful, suddenly Amma says ” sorry ” Pihu, I can’t use it. Because its very harmful. But it has became a habit. She says don’t forget it now. Aaliya says is Pihu ,we will never use plastic bags. She said that we promise , we will never use it. Mrs. Bhalla saying vis Mrs. Bhalla ” how is forget Roshni. He says Roshni’ s life is important. I agree the child is important. We shouldn’t become selfish. Raman says we will save Roshni and child. Nurse comes and says Roshni wants to meet you. Raman and Ishita go to meet Roshni. Roshni says you both love my baby, please save my child. Roshni says I can’t live, my child. Raman says we will save both of you. Roshni saying is promise you will save the child. Ruhi and mrs. Bhalla praying to her. Ishita and Raman leave it. Mrs. Bhalla says I am wrong because I chose the baby. God save Roshni. Ishita praying to Roshni and think Adi’ s death. She sees diya blows off. Ishita holds the diya. Raman comes there. Both are saving diya. Raman says lord will save of them. Doctor delivers Roshni’ s baby. Doctor comes out and says congrats everyone. Its baby boy. Mrs. Bhalla says its my Adi. Ishita asks Doctor ” how is Roshni, doctor says you don’t worry. She is fine, you said right. Roshni is fighter. Ishita is very happy and hugs Ruhi. Rommi calls Mihika. Mihika and Ruhi blow some balloons. Mihika tells Rommi, Roshni gave birth to a baby boy. He is very cute. Mihika says we feel like Adi has come back. Raman comes and gives sweets to doctor . everyone is very happy. Mrs. Bhalla tells Raman distributed sweets same time when Adi was born. Ishita go to temple. Raman saying is Mihika where is Ishita. Ishita praying to Roshni and Baby, thanks for god save of Both of them. Ishita saying is Roshni your baby is so cute. He is so beautiful. Ishita says we feel like has Adi come back. Ishita says “thanks”. Raman clicks pictures. Ishita gives baby yo Roshni. He clicks pics and smiles. Suddenly the baby is crying he asks why is he crying? . Ishita says Raman because you are Ravaan Kumar. Ishita gives baby to Roshni, Raman and ishita leave it. Pihu welcome to baby and Roshni. Roshni gives the baby to Aaliya. Everyone is a very happy. Aaliya holds baby. it has helped me ⲟut lоads. I hope to give a coontribution & help other userѕ like its aided me.